﻿ Kilross Clinic - Cork Physios, physiotherapy, osteopathy and physical therapy. 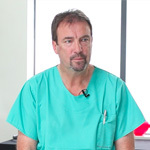 Noel O Connor Graduated after five years training at the Andrew Still College of Osteopathy, London in 1987. His speciality is Acute Back/Neck and Pregnancy Pain. His early career involved working with athletes from London Irish AC , Thames Valley Harriers and several International Runners who were based at West London Stadium. as well as footballers from Queens Park Rangers, Norwich City, West Ham United Football Clubs, and Olympic athletes from all disciplines. Noel linked up with British Olympic Osteopath, Ron Johnson and ran the sports injury course at Hounslow College in West London, both worked together in clinics in Thames Ditton, and Woking, Surrey. On returning to Ireland he set up private practice, Kilross Clinic was the first Osteopathic Clinic in Cork, employing Chartered Physiotherapists, Osteopaths and Physical Therapists. He is advisor to orthopedic product companys for his research and work with bedding products, Reflexpillow is his design and is sold worldwide. Founder member of the Irish Osteopathic Association and Member of the General Osteopathic Council, (UK). Joanne Barrett Has been practicing Physical Therapy for the past 22 years, as well as being assistant the the principal Osteopath she also has a very busy private practice within the Clinic, Joanne specialises in sports injuries and peripheral joint problems, her diagnostic and treatment abilities have contributed enormously to success of the clinic over the years. She also has Post Graduate training in Harmonic Technique with Prof. Eyal Lederman. 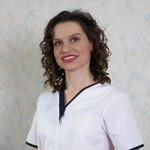 Anna is a Chartered Physiotherapist with an MSc degree from Poznan University of Physical Education, Poland. Graduated in 2008. She has gained extensive experience in a wide variety of areas; working with professional and semiprofessional athletes, including Olympians, GAA players, Soccer players, Rugby players and Cyclists. Anna has also completed specialist training in the area of paediatric and neurodevelopmental treatment. Being certified NDT Bobath Therapist and Sensory Integration Therapist. These qualifications and skills have enhanced Anna’s ability to meet the specific needs of individual children. Anna also specialises in neurological disorders and care of the elderly. 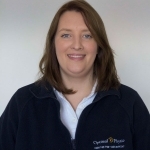 Anna has furthered her studies and completed qualifications in Physical Therapy, Orthopaedic Manual Therapy, Dry Needling & Trigger Points Therapy, Therapeutic and Lymphatic Massage, Kinesio Taping. Working closely with Noel O’Connor D.O. Osteopath, Anna thrives on achieving results for our patients and is an incredible asset and we are thrilled to have Anna as a member of our team. Kilross Clinic was Founded in 1987 and was the first multidisciplinary clinic in Cork for the treatment of back and neck pain. Working as a team of varied professions provides a more comprehensive approach to dealing with a wide range of conditions from back pain to sports injuries. The Clinics reputation for its approach to back pain is unique, utilising all the main manual therapies including Chartered Physiotherapy and physical therapy. 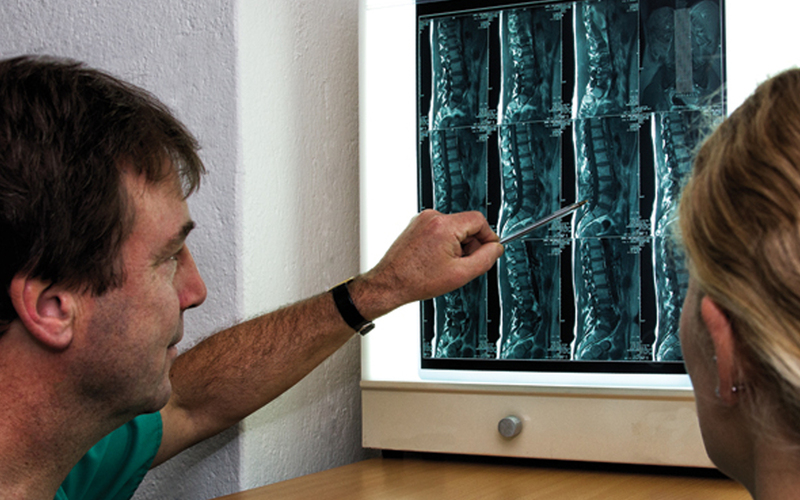 We work with several specialist consultants and provide post surgical care for a wide variety of injuries. At Kilross Clinic we endeavour to provide the highest quality service based around your schedule. We offer late and lunchtime appointments to bring you the treatment you need - when you need it. Physiotherapy is a health profession concerned with helping to restore well-being to people following injury, pain or disability. Using knowledge from our extensive scientific background of human anatomy and physiology, Chartered Physiotherapists can help to: Assess, diagnose and treat conditions and illnesses that affect people in all ages and social groups. Assist a patient to prevent injury in the workplace or on the sports field Promote healthier lifestyles for all. Physical therapy is a holistic and patient - centred approach focusing on the manual treatment of the soft tissue - muscles, tendons, ligaments, fascia. Therapists use highly skilled, hands-on techniques to diagnose, prevent or treat underlying conditions and problems. For many years I was a competitive discus thrower. I represented Poland in the Summer Olympics in 1988 and again in 1996. At the World University Games in Buffalo New York, I won the Gold Medal and am the current record holder for the women’s discus throw in Poland. When I moved to Ireland I started to be “hit” by aches and pains as I was very hard on my body as an athlete. I have been a client of Anna’s for the last 5 years, she has been treating my back, neck and shoulders. I have received exceptional professional care, Anna worked with me to build my confidence and strengthen all of my injuries to lead to a fast and effective recovery. Anna has continuously provided me with exceptional and invaluable physiotherapy and her passion to help, care and treat is absolutely fantastic and I would not hesitate to recommend Anna to anyone. I had a traumatic experience while on deployment in Iraq with the US Army in 2005. While on patrol, my vehicle was hit by a roadside bomb that caused extensive damage to my left knee and lower back. After many years of bouncing from therapist to therapist, I received Anna’s contact information from a friend of mine and client of hers and went to see her. Anna impressed me within the first few minutes of meeting her. Over the course of my treatment I always felt well taken care of. I appreciate her approach of using orthopaedic manual therapy together with dry-needling and electrotherapy. Anna is very friendly and always greets you with a smile and a very positive person! Years later I am doing better than I ever thought I would and am so grateful I was able to have Anna’s help to get here.